Apple has been granted a new patent titled Augmented Reality Maps, which details an immersive navigation feature powered by augmented reality. The feature, likely to be baked into Apple’s stock Maps app for iOS devices if ever implemented, would allow users to point the device’s camera at their surroundings to have directions and points of interest superimposed onto the captured scene. The result, simply put, would be a real-time implementation of Google’s Street View Navigation concept, with live footage acting as the substrate. The system pinpoints the user’s location, the device’s direction and tilt using the usual array of onboard sensors, then overlays the camera’s virtual viewfinder with points of interest, like restaurants, bus stops, and the like. At the user’s request, the live video can be augmented with directions to a location of choice. 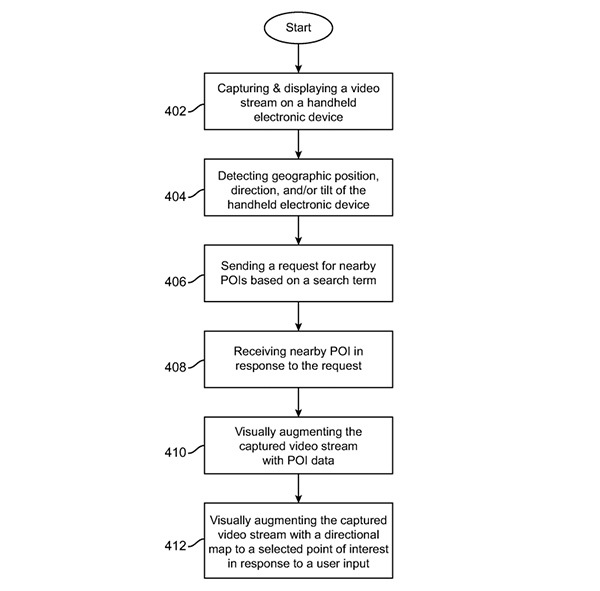 Concept drawings show a search bar at the bottom of the viewfinder for the user to search for and navigate to a specific POI. The new patent doesn’t come as a surprise considering rumors of Apple dabbling in the AR/VR field at the heels of its competition. However, while the likes of Google and Facebook are more invested in virtual reality, the Cupertino giant seems to have a greater inclination towards its augmented cousin. CEO Tim Cook has relayed the company’s interest in the AR market more than once this year and a recent report suggested Apple might be working on an augmented reality system for its self-driving software. 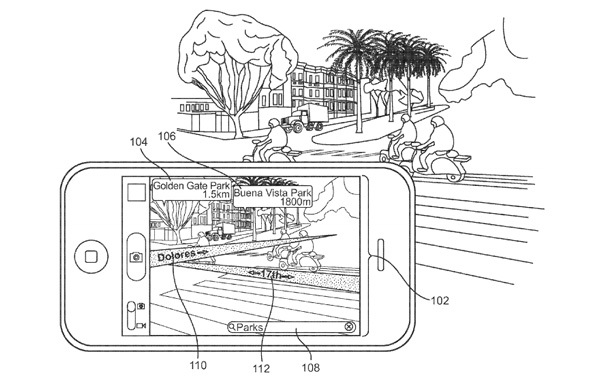 It’s possible said AR add-on is an offshoot of the company’s latest patent. As is the case with Apple patents, however, we might not see an implementation soon, if ever. Apple has countless patents, and very few of them make it to the market. The latest addition to their repertoire could very well suffer the same fate. It’s just an idea right now, albeit one that could prove to be quite handy, especially for drivers with weak sense of direction like myself. Change your website name to “read about all Apple patents here”.